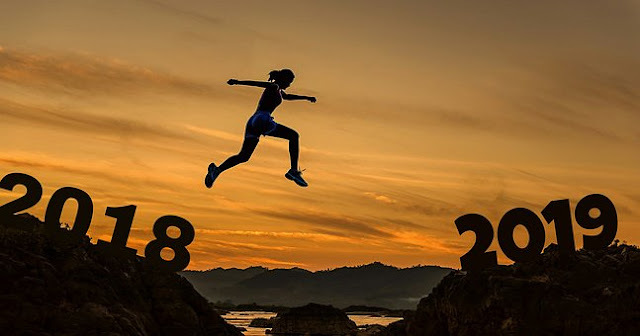 When it comes to the new year most of us start setting goals on what we want to achieve in the new year, but the problem is how do we stick to those goals that we set. Most of the time we set ourselves with monumental goals that are unrealistic and unachievable which often leave us feeling demoralised and ready to throw in the towel not everyone can achieve extreme goals from starting new diets to getting that new job, rather than set unreachable large goals we need to think about the small realistic steps we can take every day to achieve those goals, so be realistic in your goal setting, eg saying your not going to eat sugar again is a tall feat, so why not set a goal to cut back on your sugar intake ie no sugar in your tea, remember small steps will build your confidence and inspire you to push forward with the ultimate goal. Know Your Goals: Think of the goal and have it at the forefront of your mind make sure your goals have a positive outcome and have that in your mind. What are you trying to change achieve give a commitment to your goal by writing why it matters to you. Write it down: make it real and write down your goal and the reason for setting it! Can you achieve this goal, how much willpower will you need to achieve this goal and what steps are you going to take. Break It Down: break your goals into small palatable elements eg think of all the things you need to make that goal achievable eg get a new job, what training will I need, can I get some experience in that field. By focusing on one small step, a day will make your goals more realistic and achievable. Can I Do It Now: What can you sign up for or commit to RIGHT NOW that will keep you accountable? eg if you pay to join an exercise class you'll more likely to stick with it. 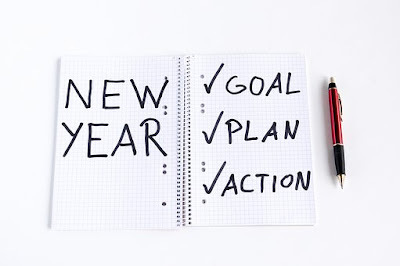 Plan Plan Plan: plan the steps to your goal the night before: write down what you need to do tomorrow this will help you feel in control and set you up for success. Morning Routine: revisit your goals and steps in the morning, work out what can be done right away and plan your day/week, I use Mel Robins 5 second journal as it works for me, it gives me the chance to pick one element of my goal and work on that solely each day, but you can use a notebook or another journal. Be patient: while we all want overnight results when it comes to change, sadly, that is never going to be the case. If you are changing your diet or life will take time. 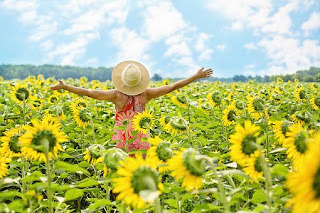 Celebrate those small achievements no matter how small they are and feel good about yourself if you would like more information on the 5-second rule check out https://melrobbins.com/blog/5-second-rule. 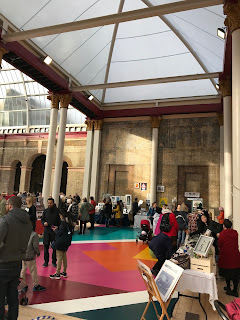 If you are just starting your goal planning for 2019, then hop over to Mel Robins for her mind set-reset cousre its free and a great place to start. There's nothing quite like going to the Circus there's something quite special about the atmosphere and live daring acts, but Circus 1903 brings the audience the golden age of circus, so we couldn't wait to be transported back to 1903 to experience the ultimate circus experience. 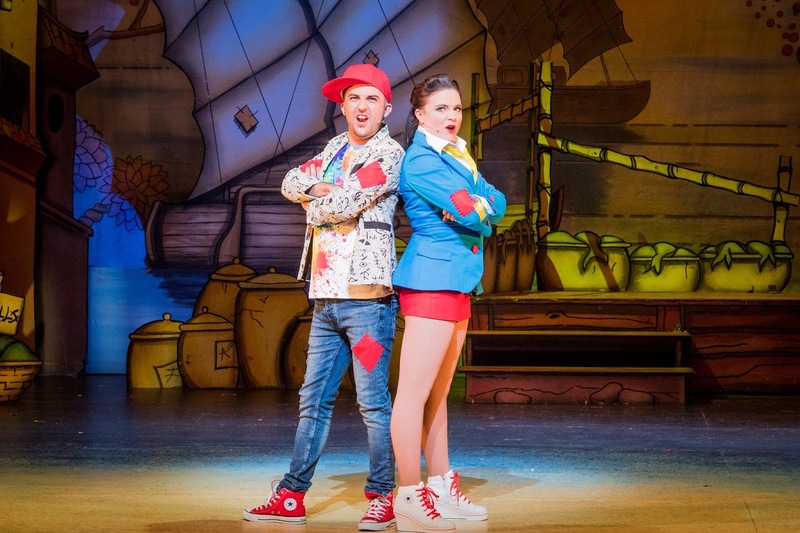 Circus 1903 is an internationally acclaimed family circus spectacular and features thrilling and dangerous acts that the whole family will love. We were in awe and on the edge of our seat in anticipation as we watched The Flying Finns aerialists fly through the air on their teeterboard, it was breathtaking to watch, then there was the sophistication of Lucky Moon who is an aerial ballet performer who wowed the audience with her high flying moves. The most dangerous act of the night had to be A Flight Of Knives which is an artistic exhibition of knife impalement, jaw-dropping moments as the knives whizzed through the air narrowly missing the performer. 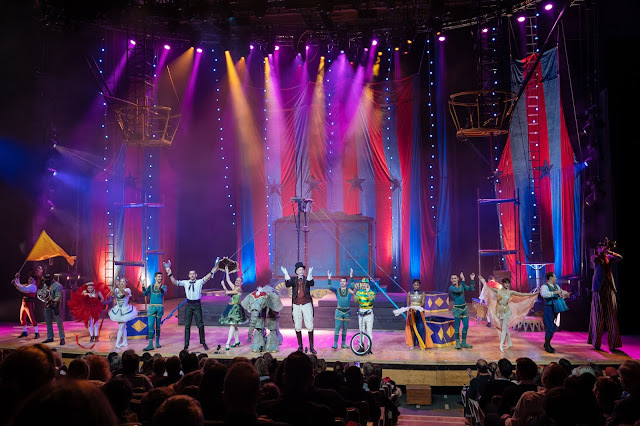 from acrobats and the Juggling Juggernaut to the high wire performance of Los Lopez just to name a few, were amongst the array of stunning performances from across the globe we had the pleasure to watch. 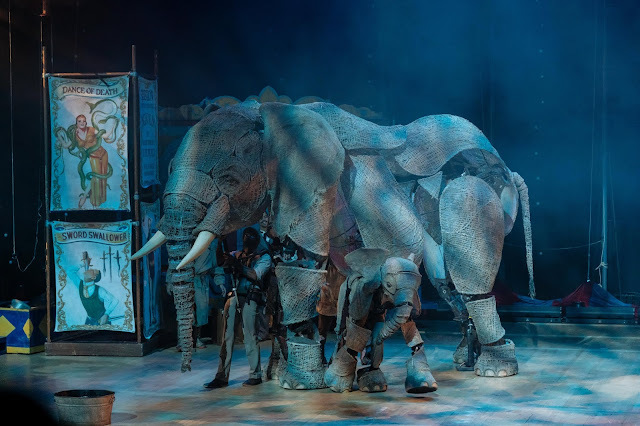 We also had the opportunity to watch life-sized elephants grace the stage which was created by award-winning puppeteers to bring the 1903 circus experience to life. 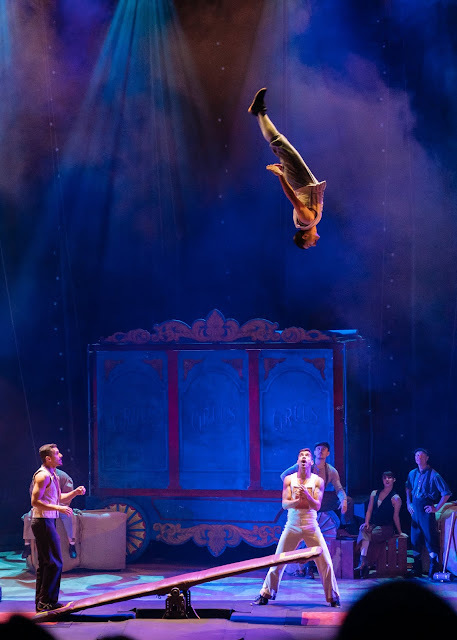 Circus 1903 was a feast for the eyes and mesmerising to watch the ultimate circus experience which will be loved by all. 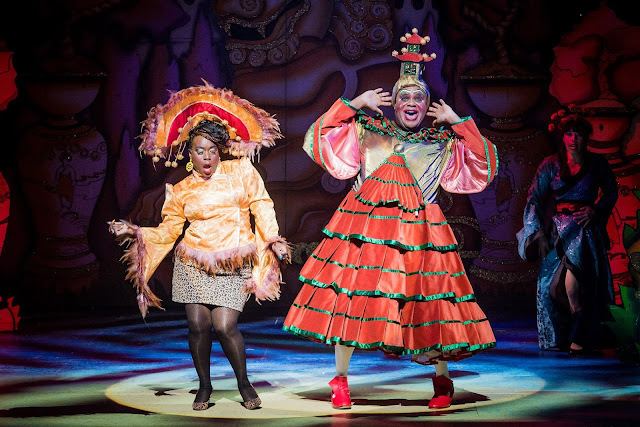 We were super excited to head in Hackney Empire in East London to watch the much-awaited performance of Aladdin. The story follows Aladdin who resides in HA-KA-NEY, Aladdin dreams of finding true love and making his fortune, one-day Aladdin's luck changes when he finds a magic lamp, will Aladdin's wishes come true? 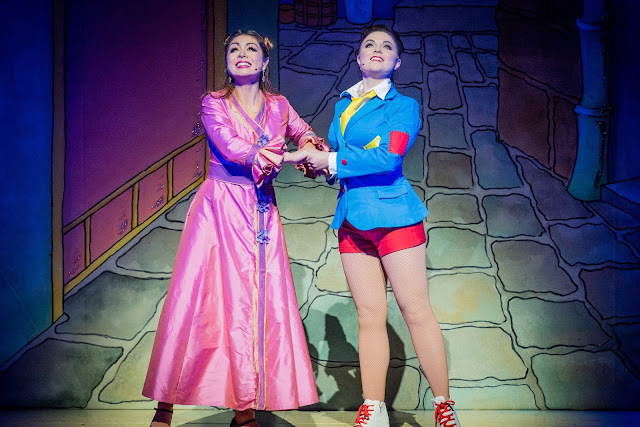 or will the evil Abanazar thwart Aladdin's plans? 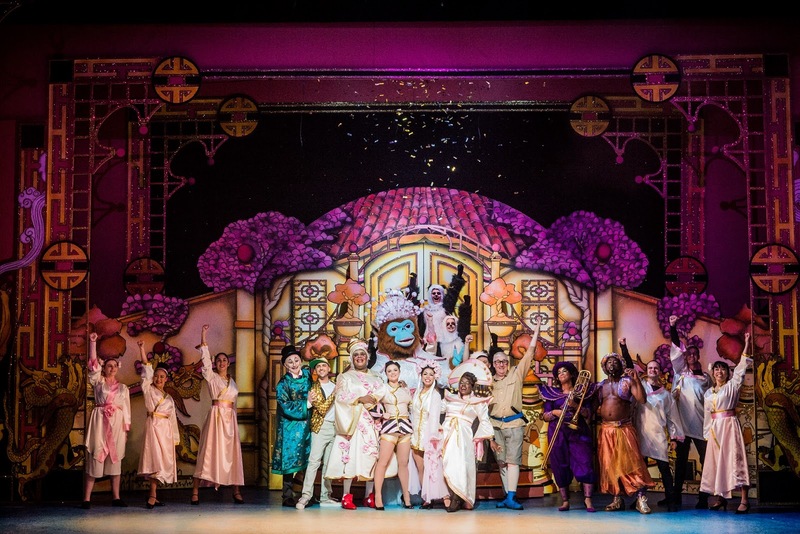 Join Aladdin along with his family and friends on his magical journey. This larger then life production is truly magical, with visually eye-catching stage scene changes throughout, along with stunning costumes, the cast brings this production to life with their stunning performance and vocals. 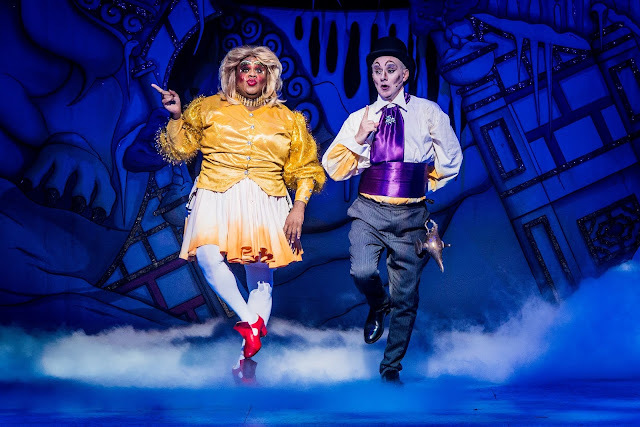 Stars the much-loved dame Widow Twankey as Aladdin's mum played by Clive Rowe and Tameka Empson who stars as the Empress Of HA-KA-NEY, the entire cast brings an exciting, fun energy presence which will be loved by children and adults the perfect Christmas Panto for the entire family. 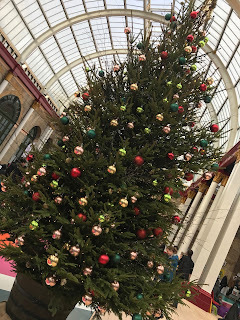 The Ally Pally Christmas Carnival will mark the re-opening of Alexandra Palace’s East Court, and Victorian theatre, The carnival has lots of festive essentials including Santa’s Grotto, ice skating, and a Christmas Market with local stall holders from North London. there was also a band playing live Christmas music to help us get into the spirit of Christmas. 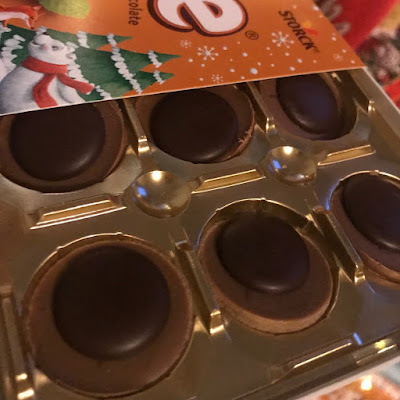 We love Toffifee, it's a treat that I have grown up eating and I love that now I can share my childhood memories and treats with my children. There's something quite delicious about the crunchy hazelnut surrounded by the chewy caramel cup with nougat and a topping of rich dark delicious chocolate, it's the perfect family treat. 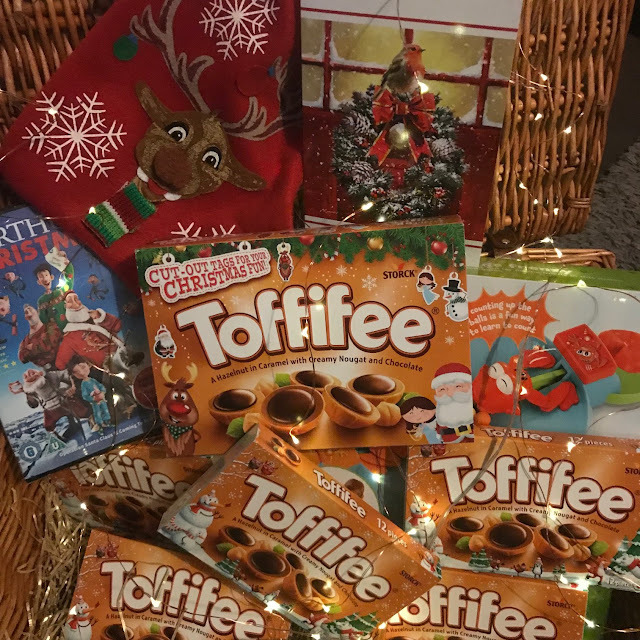 As a family, we love nothing more than snuggling up and watching a movie especially when its cold outside, and as Christmas is fast approaching what better time of the year to sit back and relax and watch our favourite Christmas movies with a box of Toffifee. 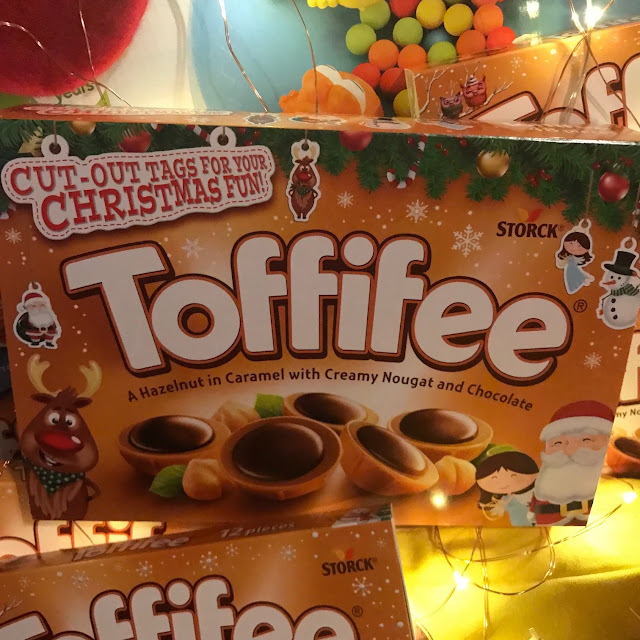 Toffifee is the perfect treat for sharing with the family at Christmas the 400g pack is simply perfect, but if you want a stocking filler then I would defiantly opt for the 100g pack. Toffifee is available form all major supermarkets and will make the perfect sweet treat this Christmas.